Girl is NOT a 4 Letter Word: Who's Rad? Nikita Ducarroz. 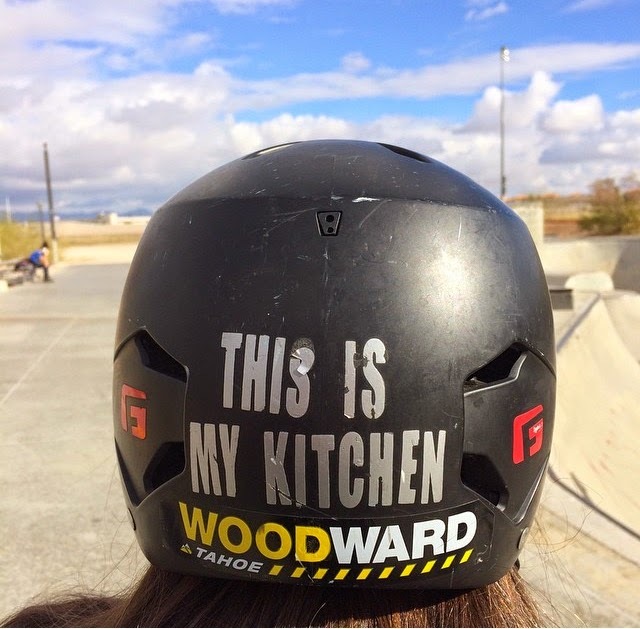 When you're only 15 years old and make a video of yourself riding BMX and title it "This is My Kitchen", we know you have got to be a girl we want to know better. 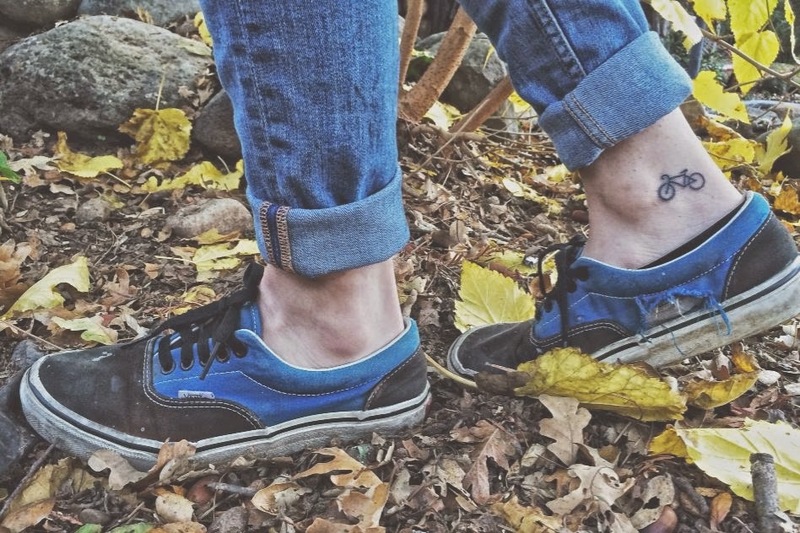 Nikita Ducarroz is now all of 18, but her passion for BMX has just gotten stronger and stronger (check out that cool bike tattoo on her ankle) since she first made that video that grabbed so much attention. She rides and holds her own in contests with guys, trains with the Hoopla skate team at Woodward West, and is out there making strides each and every day for the sport she loves. We couldn't be more stoked to bring you this one on one interview with an inspring girl like Nikita! 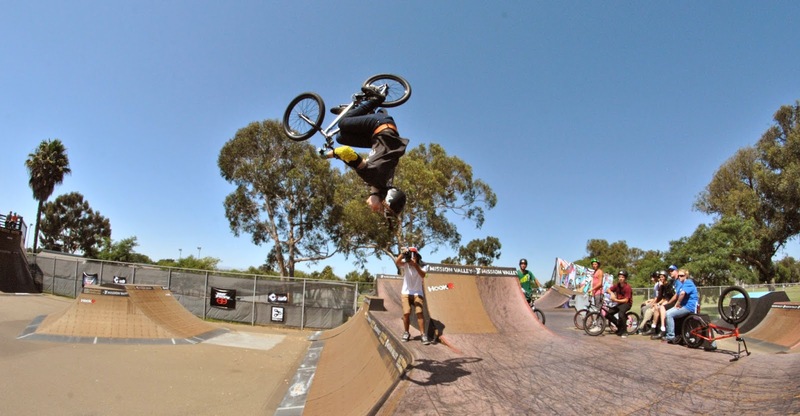 How long have you been riding BMX? Since 2010, so going into my 5th year of riding! I’ve always sort of had a thing for action sports. I vaguely remember going to X Games in 1999 (I was 4) and when I was 8 I started snowboarding with my aunt. When I was around 13 I stumbled across some youtube videos of some kids doing BMX tricks and I really wanted to try it…it just really looked fun! Not too long after that I got my first BMX bike. Are you Pro or Am? There’s not really a straightforward answer. When I compete with guys, I compete in the Am class. But with girls, I am always riding in “Pro”. The past year or so however, I have started transitioning from getting flowed product, to having budgets involved, whether it be from sponsors covering travel/events, doing video projects with them, or commercial jobs. It still doesn’t really change how or why I am riding, but it definitely helps me to get around, and just the thought that it’s come this far is crazy for me to think about, because it feels like yesterday I was buying my first BMX bike and riding around in the driveway without any idea I could take it further than that. You seem to be very comfortable riding any type of terrain, what are your favorite places to ride? I am definitely trying to get more comfortable riding everything I can! As long as I’m on my bike having a good session with friends, we could be riding in a parking lot and it would still be awesome! I think park was always my strongest just because that’s what I started riding with, but I’ve really been getting into street a lot lately and it’s a blast! You’ll see some of that very soon in my new video. Can you tell us about your bike set up ? I am currently riding a Zorg custom frame (made by my good friend Luke), with mostly Alienation and Haro parts. Apart from the fact that those companies help me out, I trust the parts and have a lot of respect for the people behind the company. When I see people doing good things, it just naturally makes me want to support them. 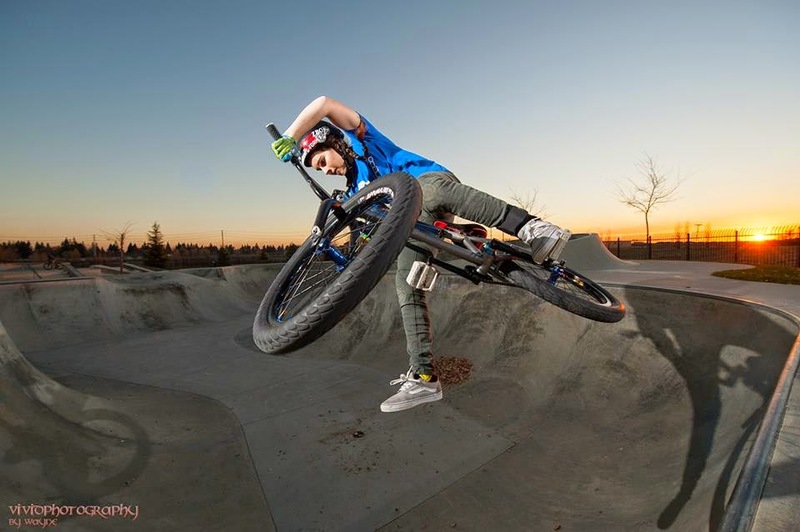 BMX is changing rapidly, what positive changes have you seen for girls in the sport out there? Just in the short amount of time since I have been riding I’ve noticed the amount of girls that have started riding has blown up since 2010. The community just gets bigger every day. Also some of the biggest overseas contests like FISE and BMX Worlds have girls classes. There’s definitely a lot more that I would like to see happen, but we’re making progress for sure. We've seen your video “This is My Kitchen” – great title, can you tell us what made you decide to put this video out and how you picked that catchy title? Thanks! The video was really just one of my edits that I was putting out every 6 months or so to mark my progress. As for the title…back around 2011 I was bored and thought why not write a phrase on my helmet? I would always see comments on videos of female athletes that said “go back to the kitchen!” and stuff like that, so I thought it would be funny to throw that on there to say “I am in the kitchen, mine just looks different”. My helmet was getting a lot of attention so I guess I just figured it would be a good title for my next video! 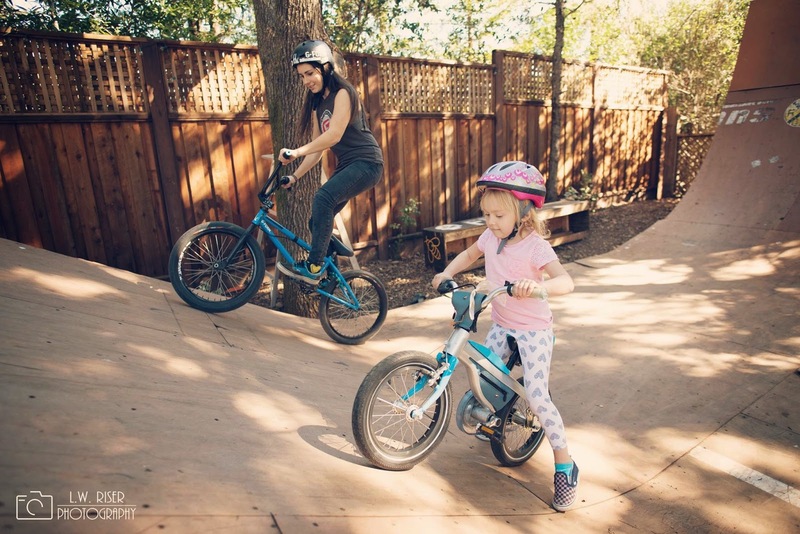 What advice can you give to girls who may be starting out riding BMX and also those who are competing at the amateur level? When I first started riding, it was only in my driveway. Then I met some local riders and started riding the skatepark. It’s a lot more fun and less nerve racking with a friend. For AM competitors, I think the most important thing is to have fun! I absolutely love contests, yet I still tend to get extremely nervous beforehand just thinking about having everyone watching me and stuff. What I have to remind myself is that all these people competing are my friends! We are all just out here for a fun time, to cheer each other on, and to help each other to step out of our comfort zones. I think that’s a good thing to remember, I’m just learning it all as I go as well! 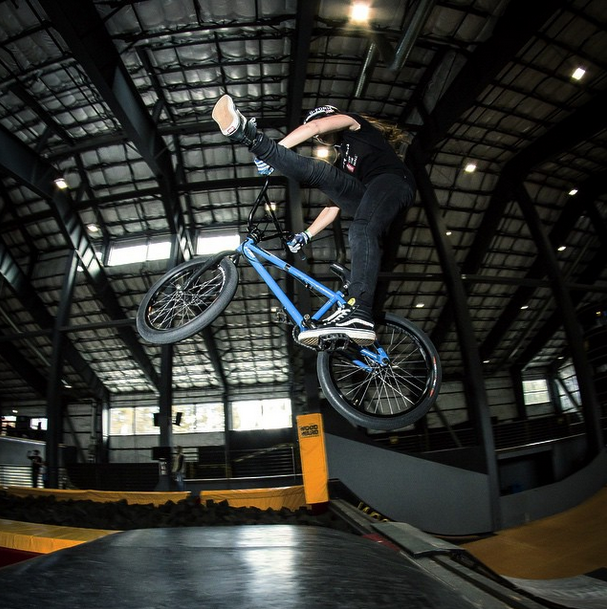 How do you keep in shape for your career as a BMX rider and what is your healthy secret for food choices? Oh man, I know the people close to me are laughing when they read that question. I really just ride my bike. I definitely would love to get some sort of workout routine going, but right now there’s nothing. As for food, let’s just say my favorite things to eat are meat, salad, and ice cream. But honestly, my family in general eats really healthy. When I was younger I hated it, but I definitely appreciate being raised that way now (thanks mom!). I’m usually a big eater, but on contest day it’s harder for me, so I typically try to at least eat a protein bar (Builder Bars are my favorite right now!). What are your plans for competing in the upcoming year – any contests you are looking forward to? This year is my busiest one yet! The main contests I’ll be hitting this year are a couple Recon Tour stops and The Little Big Women’s Ridestyle event in Truckee. I’ll mostly be in California, but also plan on going to Arizona, Vegas, and maybe more. 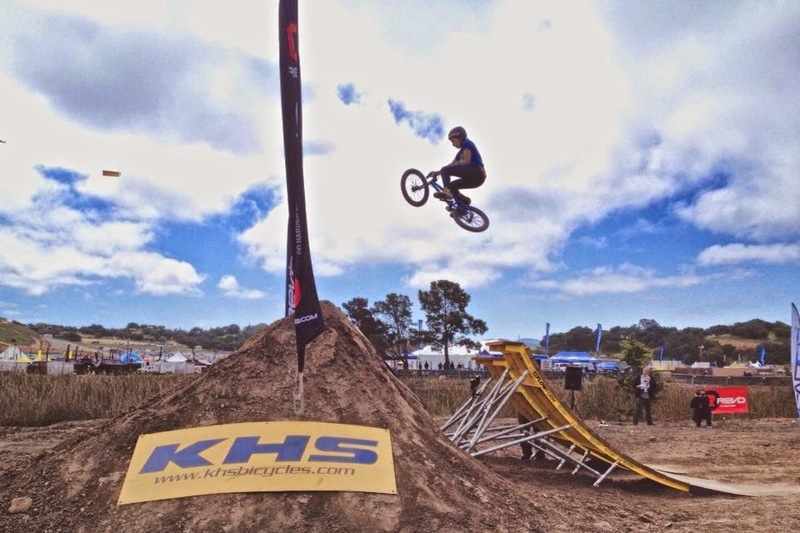 I have tons more little events throughout the year as well that I can’t wait to ride at! 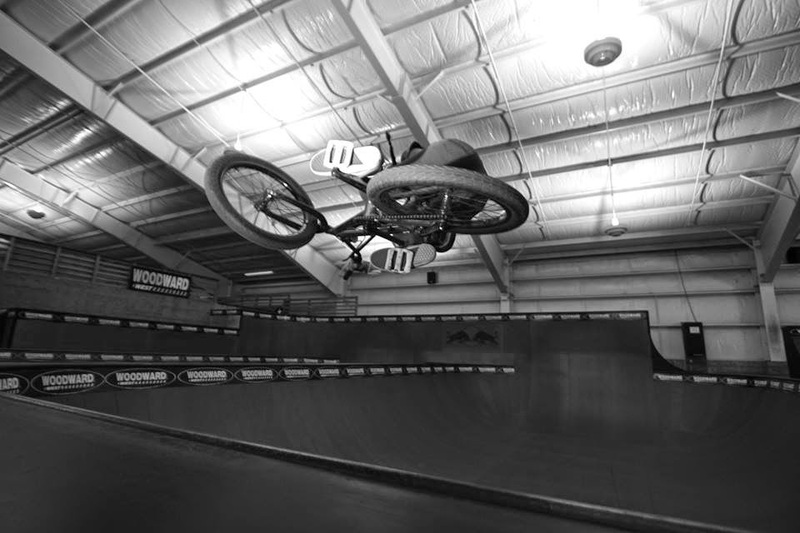 You recently filmed a commercial involving BMX what was that experience like? The shoot was for a Columbian soft drink commercial. Initially when the gig was brought to my attention, I was really really nervous, to the point where I was pretty much ready to say no. BUT, I decided not to let the anxiety get the best of me this time, called up my buddy Bryce (who does commercials a lot) and the next week we were both on our way to LA! We still haven’t seen the commercial, but it was one of the coolest experiences of my life. The shoot lasted 12 hours, and we did a bunch of stuff including drinking soda for an hour for a close up shot (I didn’t drink soda for quite a while after that LOL), as well as doing tricks in an empty lap pool, and the LA River banks. Favorite place you've ever ridden? Oh man, that’s a hard one. I would have to say it’s between Claremont Skatepark (in San Diego) or Woodward West, but there’s been so many cool places I’ve gotten to see! A boosted table is good any day! There are so many fun tricks though, and endless possibilities! You put out a video recently where you answered people’s questions about you, your bike, and even more personal things– which we though was awesome – what made you decide to do that? It was actually really random! Someone commented on my Instagram suggesting I do a Q&A. I thought it might be fun, so I tried it out! I think it went really well, I even had to narrow down questions to two pages because originally I had 5 and I wanted to keep the video under 10 minutes. You have a new video dropping – can you tell us about that? Basically it was another one of my edits I try to put out every 6 months or so, this one just took way longer. I noticed I hadn’t made a new video in a while, so I hit up my friend Kevin and he agreed to help me out! That was over a year ago. Since we started attempting to film a video, I broke my foot two separate times, and also all his gear got stolen. There was a lot of breaks and starting over that went into this video, but I’m really happy that it’s finally complete! It should be dropping in the next few weeks, just in the editing process right now. Any other plans/things you are working towards this year? This year will basically be going to as many contests/events as I can, keeping up with school, and just continuing to progress all around! No projects with sponsors in the works at the moment, but I do love me some projects, so I’m sure something will pop up soon! I think the biggest challenge this year will be getting on a plane again. I stopped flying when I was 11 due to extreme anxiety about it and finally last year got on a plane for the first time in 7 years to attend a contest in Indiana. I want to continue that and get on at least one other plane this year to get to a contest, so we will see what happens! 2. People think I’m a daredevil because of what I do on a bike, but I’m actually a pretty big scardey cat! 3. I did high school completely online and finished in 3 years. I will be attending Girls Week at Woodward Tahoe (last year I was there along with the Hoopla crew) and it was the best week of my life! I’m so used to riding with all guys I never realized how rad it is to spend a whole week with girls who share the same passion as you do. Nothing better than nice weather, shredding with other girls, and sharing your passion with girls who are newer to the sport! I’d definitely love to see even more girls sign up this year!